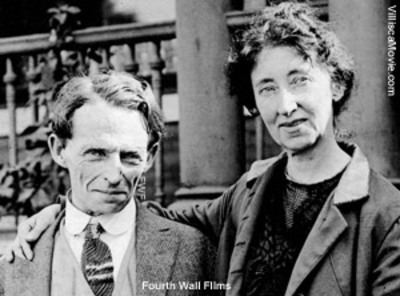 Reverend Kelly (sometimes called the "Little Minister") and Wife Laura in 1917 during his trial for murder in the still-unsolved Villisca ax murder mystery. Douglas Burns does a nice job profiling 1912 Villisca axe murder suspect Reverend Lyn George Jacklin Kelly in his most recent blog entry on the Iowa Independent. A similar article appeared in the Carroll, Iowa Daily Times Herald in conjunction with a theatrical booking of Villisca: Living with a Mystery at the Fridley Theatre in Carroll. More reviews of Villisca: Living with a Mystery can be found here.